Despite Spring's reluctant arrival, Sam Straddling has been hard at work in the Food Cupboard's greenhouse. The result: hundreds of small green shoots that will grow into vegetable plants clients can grow at home and for what amounts to a garden to supply fresh produce for distribution. 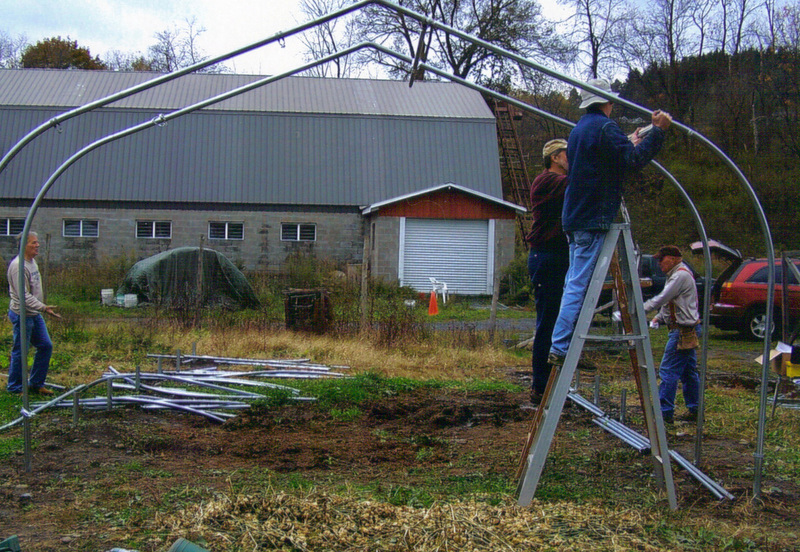 The greenhouse is located at Highland Farm, a neighbor of the Food Cupboard on Mill Street. Sprouting under Sam's green thumb are tomatoes, peppers, broccoli, cabbage, greens and a seed catalog's worth of other vegetables. 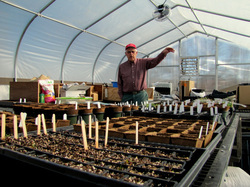 He said many will be repotted into four-packs for free distribution and others will be planted, tended and harvested. Check out the slide show below. Through the generous funding of several organization, donations by several local businesses and the hard work of volunteers the Food Cupboard now has a greenhouse in which to grow vegetable seedlings for folks who wish to plant some of their own food at home. 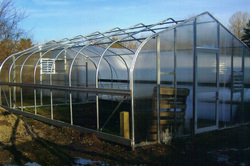 The greenhouse will also produce some vegetables for distribution to those in need. 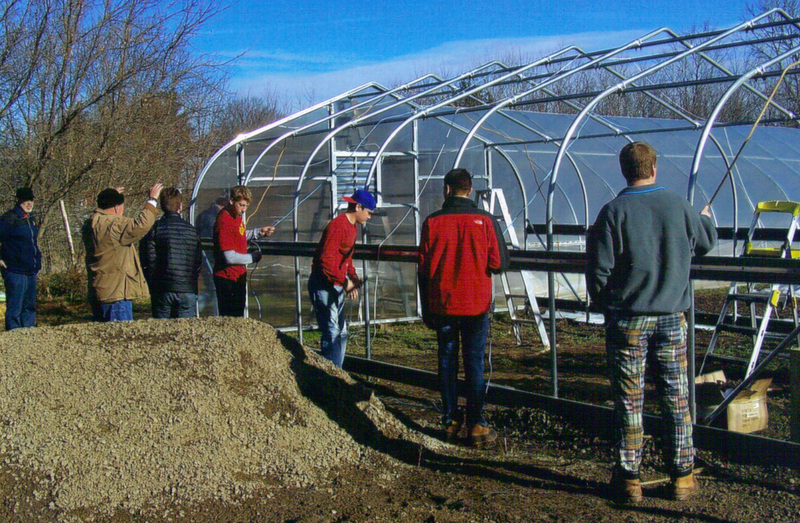 Funding was given by the Central New York Community Foundation and Colgate's Konosioni Senior Honors society to purchase the greenhouse kit. In addition the Food Cupboard works with local farmers to supply in-season, fresh fruits and vegetables.